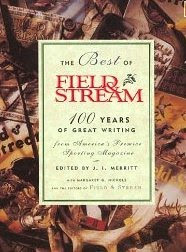 I like to hike and backpack, so I figured listening to The Best of Field & Stream would be an absolute no brainer. But alas, Field & Stream is really targeted to hunters and fisherman, and I myself, don't do either. I just couldn't connect with story after story of furry little forest creatures being hunted down for sport. My dad's a fisherman, so I can kind of connect there, but even still, after listening to a story where a man spent 4 hours landing a large tuna - I just wanted to say, dude, let the tuna go. More than once I considered just ejecting the CD's and going on to my next book. Thing is, as the stories clicked by, I realized just how naive my view of hunting was. Heck, I eat meat - so far be it from me to suggest people shouldn't go out and catch their own food. More surprisingly, during the weekend I just spent with my family I found I kept bringing up the stories, as they seemed so relevant to one thing or another we were discussing. In the end, I have to say, this book snuck up on me and I enjoyed it. While there were some stories I really won't be able to connect with (not without a good understanding of say, quail hunting, anyway), the majority of them were quite good. And while there's death in the stories, there's also ample respect and appreciation for nature and the environment. There's also good doses of history and hilarity. It's a surprise winner, even for a non hunter like myself.